Before there was Shania Twain, there was Anne Murray. Yes, that Anne Murray. She was Canada’s original country, pop, adult-contemporary crossover who baffled publications, critics and music programmers with her refusal to be bound by genre. She was also the first Canadian female solo singer to score a No. 1 hit in the U.S. with her 1970 breakthrough, “Snowbird.” Twenty-plus years before Twain’s fly-trap-sticky choruses became the karaoke anthems that bridged generational, gendered and geographical divides, Murray — a Springhill, N.S., gym teacher-turned-award-winning vocalist — was the country’s gold-standard superstar. Today, June 20, 2017, Murray turns 72. She’s been retired for a little under 10 years, but she does have a forthcoming double album of greatest hits coupled with her personal favourite songs to sing, dropping in August. She doesn’t get much radio play anymore, and sometimes there’s a certain implication to her very name that reads as soft, safe, vanilla. But that’s not what this story is about. This is the other side of Anne Murray, and all about the making of an icon. 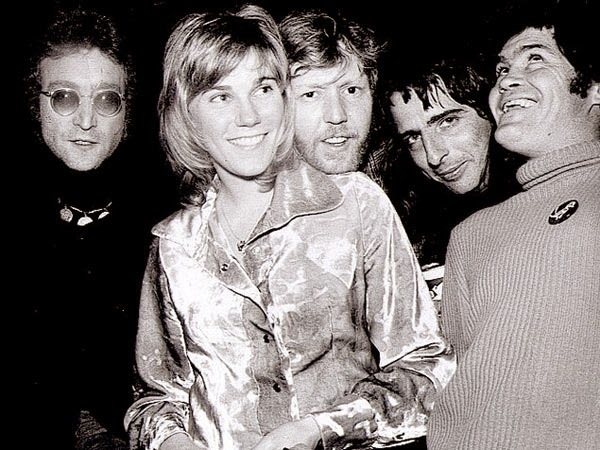 A woman who's sold more than 55 million albums, who has a star on the Hollywood Walk of Fame, who used to roll in circles that led to this photo of her, John Lennon, Alice Cooper, Micky Dolenz and Harry Nilsson, and who never shied away from her ambitions — professional or personal. She vocalized a clear, focused pursuit of a career throughout her interviews in the ’70s and ’80s. Interviews that Twain, Céline Dion, k.d. lang and countless other aspiring musicians — all influenced by Murray — would have grown up watching and reading. Murray was also a one-woman hit machine for 40-plus years, shouldering the expectations of fans, media and the music industry alike. She won Grammys, a record number of Junos and amassed more than 70 singles to her credit. Between 1968 and 1988 alone, she churned out at least a record a year (and sometimes two or three). She was also touring constantly in support of those releases, and Murray remembers that when Bruce Allen, who's worked with Bryan Adams and Michael Bublé, took over managing her in 1996, he couldn’t believe her schedule. They had the first of two children in 1976, and Murray struggled balancing her family and showbiz life, something she talks about frequently in her older interviews. She’s very clear about how important her children are to her, but she’s equally clear about not denying the ambitions she had for herself and her career. The record execs weren’t happy at the time, either. Murray remembers getting a little behind in her album production because of having kids, in the height of the frenzied output, and the attitude was "How dare you stop and have children?" “Believe me, there were those conversations,” she says, laughing. It’s not lost on Murray that, for most of her career, the topic of sacrifice and balance was a question reserved primarily for women musicians and never their male counterparts. Since her retirement, Murray has been all about family time, hanging out with her kids and grandkids. She never plans to sing publicly again. Even now, speaking with Murray over the phone, her voice is like melted gold and her early songs are like sunlight glinting off the ocean’s surface. There’s a reason she was Elvis’s favourite female vocalist (he covered her first hit, "Snowbird"). When she sings there’s something about Murray's tone and timbre, an implicit, fearless sincerity, that’s both soothing and skin-tingling. She beat out Dolly Parton and “Jolene” for the best female country vocal Grammy Award in 1975 with “A Love Song,” and Barbra Streisand for the best female pop vocal Grammy with “You Needed Me” in 1979. Musically and lyrically, as was often the style at the time, her songs skewed a bit old-fashioned and traditional, which makes sense given that she grew up singing along to Rosemary Clooney, Bing Crosby, Perry Como and Andy Williams. Her first few hits — “What About Me,” “Put Your Hand in the Hand” and “Snowbird” — are in keeping with those artistic influences. But there are small moments of subversion at work on almost every hit. "Snowbird" is a sweet-sounding song about someone who knows her partner is unfaithful and wishes she could go off with the one she truly loves — but she can't. In “Could I Have This Dance,” Murray flips the heteronormative script, doing the asking and choosing of her prospective mate. “You Needed Me” starts out with how the “you” in the song saves her, but she saves that "you" right back. Murray continued to upend expectations right through to one of her last huge hits, the 2007 record Anne Murray Duets: Friends & Legends, which featured all women artists, from superstars (including Dion and Twain) to emerging artists. The record also included the particularly poignant “I Just Fall in Love Again,” in which Murray laid down her vocals on a posthumous track by her best friend, the late Dusty Springfield. Even though she doesn’t miss singing publicly, Murray says she sings to her kids and with her family. She’ll be hosting a reunion of her band this summer, too, and expects there will be some jamming. She doesn’t plan to do any performances in support of the new double album, but says it’s been 25 years since her last greatest hits record, so it seemed like a good time. And she’s happy for the chance to assemble a list of her personal favourites, too. Among those will likely be “A Million More,” which Murray says is in her top three favourites of all the songs she’s ever recorded. Her second favourite is "Song for the Mira," which she describes as an anthem of her home province, Nova Scotia. “The last time I played there, to hear 10,000 people sing the chorus is pretty, pretty moving." Looking back now, it’s incredible to think that Murray was worried she would be just a one-hit wonder, and that “Snowbird” would be the extent of her legacy. Though Murray describes it as “naive," she was fairly confident that “Snowbird” would be a hit. She grew up listening to music her whole life — "I devoured everything on the radio, I felt like I knew music” — and “Snowbird” was the first original song that Murray had ever heard. Written by the late Gene MacLellan, the Canadian songwriter told her, “Do with it whatever you want.” And she did. It would be four years before Murray scored her major followup hit, but after that, the singles just kept coming, and the accolades, awards and album sales kept mounting. Now, here she is on her 72nd birthday and while she’s happy to look back, she also doesn’t miss it one little bit. Anne Murray’s music special in Jamaica. Anne Murray performing “You Won’t See Me” with Chicago. Anne Murray's interview and medley with Dusty Springfield.